Advances in breast-conserving therapy (BCT) have yielded local control rates comparable or superior to those of mastectomy. In this study, we sought to identify contemporary risk factors associated with local recurrence (LR) following BCT. 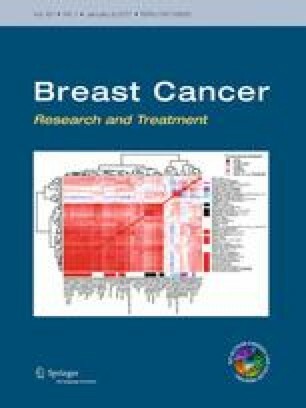 We analyzed a multi-institutional cohort of 2233 consecutive breast-cancer patients who underwent BCT between 1998 and 2007. Patients were stratified by age, biologic subtype (as approximated by receptor status and tumor grade), and nodal status. Patients who received HER2/neu-directed therapy were excluded due to variations in practice over the study period. The association of clinicopathologic features with LR was evaluated using Cox proportional hazards regression models. With a median follow-up of 106 months, 69 LRs (3 %) were observed. On univariate analysis, LR was associated with non-luminal-A subtype (hazard ratio [HR] for luminal-B = 3.01, HER2 = 6.29, triple-negative [TNBC] = 4.72; p < 0.001 each), younger age (HR of oldest vs. youngest quartile = 0.43; p = 0.005), regional nodal involvement (HR for 4–9 involved nodes = 3.04; >9 nodes = 5.82; p < 0.01 for each), positive margins (HR 2.43; p = 0.005), and high grade (HR 5.37; p < 0.001). Multivariate Cox regression demonstrated that non-luminal-A subtypes (HR for luminal-B = 2.64, HER2 = 5.42, TNBC = 4.32; p < 0.001 for each), younger age (HR for age >50 = 0.56; p = 0.01), and nodal disease (HR 1.06 per involved node; p < 0.004) were associated with LR. The 8-year risk of LR was 2.8 % for node-negative patients and 5.2 % for node-positive patients. BCT yields favorable outcomes for the large majority of patients, although increased LR was observed among those with non-luminal-A subtypes, younger age, and increasing lymph node involvement. Risk factors for LR after BCT appear to be converging with those after mastectomy in the current era. The study was approved by the institutional review boards of the participating institutions and the requirement for informed consent was waived due to the retrospective nature of this analysis.